The Aztecs, one of the greatest cultures in the world, had a unique method of written communication with symbols. 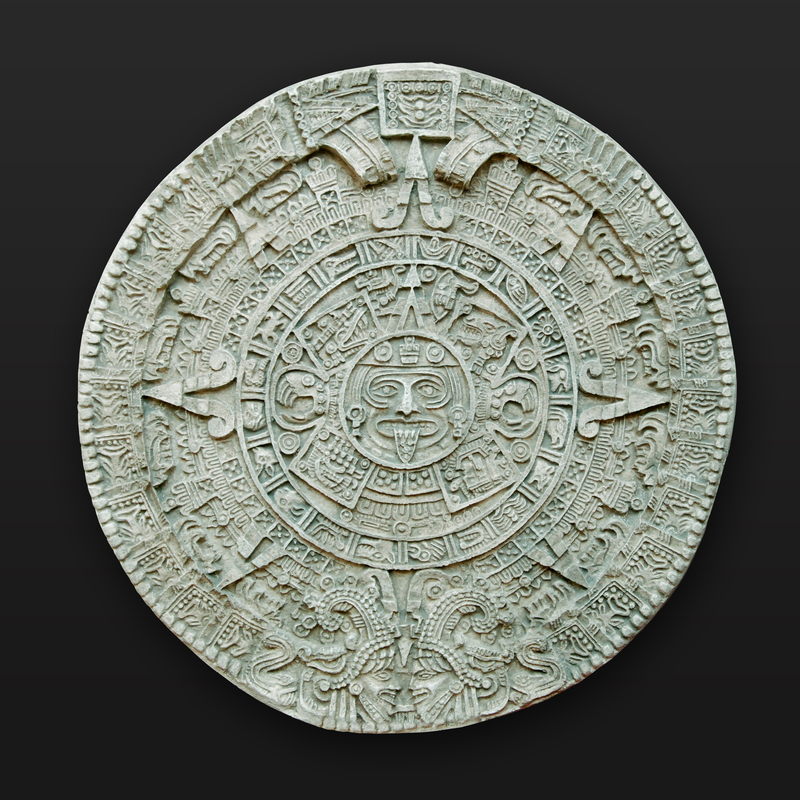 The symbolism of Aztec calendars is similar to Eastern mandalas. The Aztec mandala or calendar is a design with complex meanings. Written down in 16th-century, the Florentine Codex is where most of our information is obtained. By interviewing a group of Nahua men, Franciscan friar Bernardino de Sahagún documented the culture, symbolism and natural history of the Aztec people. The Aztecs or Mexica as they called themselves were a militaristic warrior culture that occupied the rain forests of Mesoamerica. They built their city in the great marshes of Lake Texcoco. 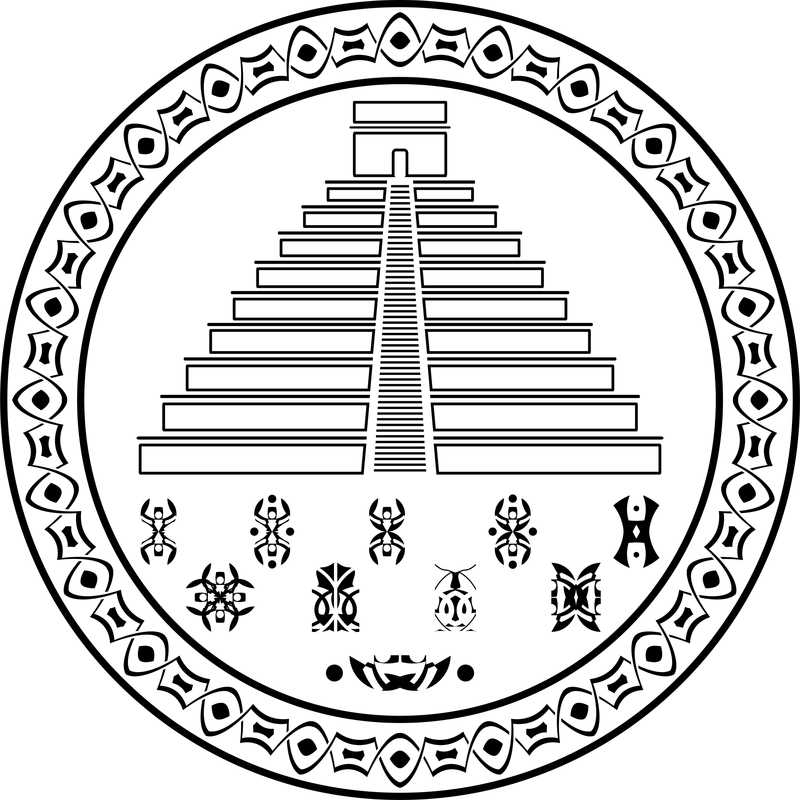 The most well-known mandala is the Aztec stone calendar dedicated to the sun god. It is a massive carving 3 feet thick, almost 12 feet across and filled with common symbols. A day consists of a number and a symbol. Each symbol represents a god who rules that time. Each god rules a different quality like intelligence, cooperation or cleverness. Each symbol has deep and complex meanings. The symbols are divided in many ways including: their meanings, their placement in the cosmos and the creation myth, their meaning in daily life. Weather is vital in the Aztec culture, it regulates the days and the crops. The most common symbols are wind, light, storm, and earthquake. Wind was known as the god Ehecatl and was one of the creation gods. Two of the gods jumped into a sacrificial fire and became the sun and the moon. They remained still, until Ehecatl blew on them. He also fell in love with a mortal, and that’s how trees were created. This is also a symbol for cleverness. Light is another creation god, and is the symbol for warriors. There was also the god of twilight, Tezcatlipoca who is also the lord of the North. Storms weigh heavily in the MesoAmerican area, so it’s not a surprise that the storm is also a creation goddess. Rain was important in the deep rain forest. Rain is known for being helpful and healing. The storms are known as Chalcihuitlicue or “She of the Jade Skirt”. She rules rivers, seas, streams, storms, and baptism. Earthquake in this volcanic region means practical intellect. Volcanoes like great scholars take time to become active. There are objects in the symbols: flower, flint, knife, reed, grass, skull. Flint was used to create fire, tools and weapons. It symbolizes movement. Knives were the most common tools. In life it meant self-sufficient but romantic. Reeds from the great marshes meant knowledgeable. Grass meant useful; probably because the Aztec wove their grass into mats. Skulls were important and meant change. We see this in the modern sugar skulls during the festival of the Day of the Dead. Many animal were depicted, but the most frequent were jaguar, deer, rabbit, lizard, ocelot, and crocodile. Jaguar was known as the great hunter, “he who kills with one blow”. In this warrior culture he was revered. Deer symbolized cooperation and nomadic movement. This is understandable given deer are in cooperative herds who move about seeking forage. Rabbit meant clever and playful. If you’ve ever seen bunnies bounding around a yard, this is understandable as well. Lizard meant active and dynamic. Just watch a lizard scurry someday. Ocelot symbolized intelligence and secrets. The ocelot is a solitary cat that hides deep in the forest. Crocodile is the representative of the East, but it is also the sea monster who emerges from the water to create the cosmos. Cipactli, as they called the crocodile also has an insatiable appetite and must start the day. To have a crocodile symbol means you are protected.